You’ve seen their bikes, their scooters, and now, their cars. Lime is now rolling out their car-share service in multiple cities across America, starting in Seattle on December 10th. Introducing: LimePod. Even just a few years ago, the concept of sharing cars with strangers would have seemed insane, if not impossible. The ability to pick up and drop off free-floating, un-owned cars all across the city hinted at madness. But, thanks to the rise of transportation tech and the innovation of companies like Lime, car-share services are becoming a commuter’s norm. We’ve been using buses and subways for decades now, which are basically just larger interpretations of ride-sharing. Plus, in cities that are population dense and low on space, owning a car isn’t always feasible in terms of space and expenses. So why not take advantage of driving a car at your own convenience, without owning it? Car-sharing services cater to people who either don’t own their own car, or simply prefer other methods of transportation. Instead of owning the vehicle and paying for all of its expenses, car-share users can simply unlock any of the vehicles from the car-sharing companies for a low fee, and drive (and park) them at their convenience. Each car-sharing service does things a bit differently. Some companies charge by the minute, while others charge by the distance. Some offer many different pickup locations, and others might be more specific on where you can get one. Either way, these services are gaining popularity across the country, and for good reason. There are many different benefits that car-sharing services can offer. Not only does car-sharing reduce our carbon footprint, but it also encourages energy efficiency and reduced time spent in cars. The cost benefits are also something to keep in mind, with one user reporting that he spends less on driving than he did on monthly car insurance after he began using these services. Factor in that you won’t be paying for maintenance or gas, and the incentives begin to look pretty good. But, car-sharing isn’t for everyone. If you depend on a vehicle to commute to work daily, finding a car through a car-sharing company every morning might not be the best plan of action. Cars can be fairly sparse as we wait to see how popular and successful these services are. Also, having kids can make things more difficult with all of the last-minute errands, practices, and school functions. However, for college students or people who work and live in the city, car-sharing can be an amazingly cost-effective and useful service. You’ll be able to cut your expenses down tremendously, and have the opportunity to use hybrid and electric cars. There’s no need to worry about maintenance, credit checks, or depreciation; Your car-sharing company has it handled. Lime’s bikes and scooters can be seen scattered across Seattle, with their recognizable green exteriors. Their new LimePods will be just the same, sporting that familiar bright green shade. Right now, Seattle can expect around 50 LimePod cars to join the fleet, with an estimated 500 by the end of the year. Lime has also hinted of 1,500 free-floating LimePods in Seattle by the end of 2019; An amount that would outnumber any other fleet of its kind in the US. All of the LimePods will be Fiat 500s, which are small, Italian-made, two-door vehicles. Users will be able to rent them within the Lime app, with the price to unlock the car coming in at just $1. Once you start driving, the rate is 40 cents per minute, which is 9 cents cheaper than its competitor, ReachNow. You can park in any legal parking space for free, courtesy of Seattle's free-floating carshare permit. In order to unlock the car, users need to scan a QR code within the app, which is located on the exterior of the car. Once approved, the car will unlock, with the keys already in the ignition. 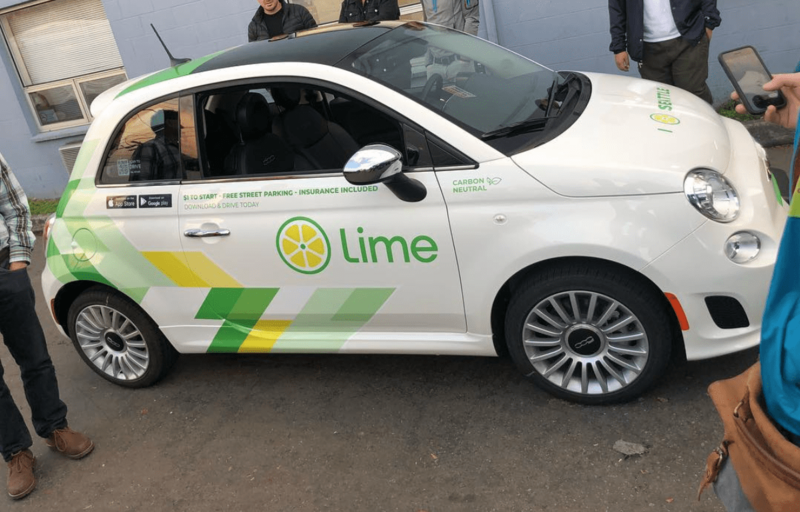 Lime’s car-share competitors can’t say the same, with many of them requiring a lengthy set of verification steps in order to access their vehicles. LimePods will also provide insurance and gas to users, which is a welcomed and popular set of features. Lime isn’t stopping at their LimePods either. The whole goal of this movement is to change consumer behavior, and potentially even eliminate the need for a personal car. 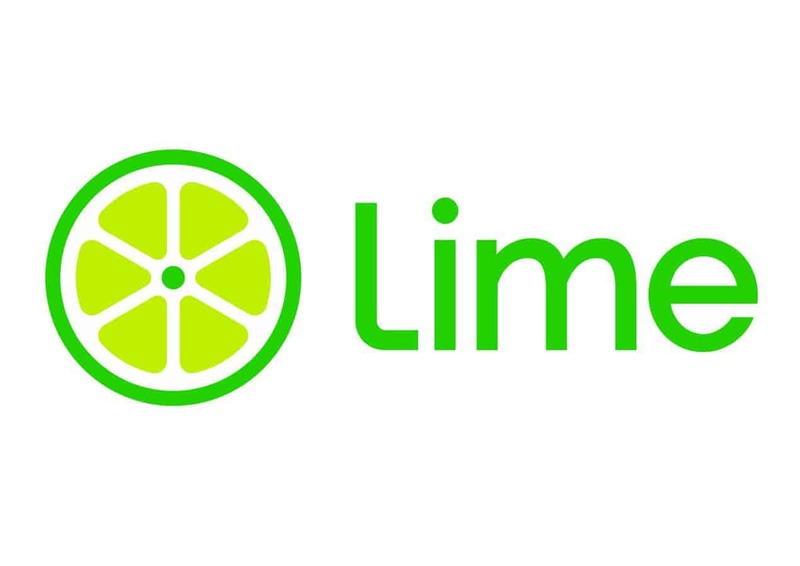 Pete Dempster, Program Manager at Lime, reported that he wants LimePod users to reconsider their transportation methods. He suggests that instead of driving the whole way to a destination, Lime may decide to provide free transfers to incentivize drivers to park a bit farther away and bike for the rest of their journey. While Seattle does have a relatively large selection of car-share services, LimePod is different. Its ease of use, affordable price point, and accessibility make for a great option in the hustle and bustle of the city. Starting on December 10th, Seattleites can expect to see LimePods being driven around on the streets by hundreds of different people. 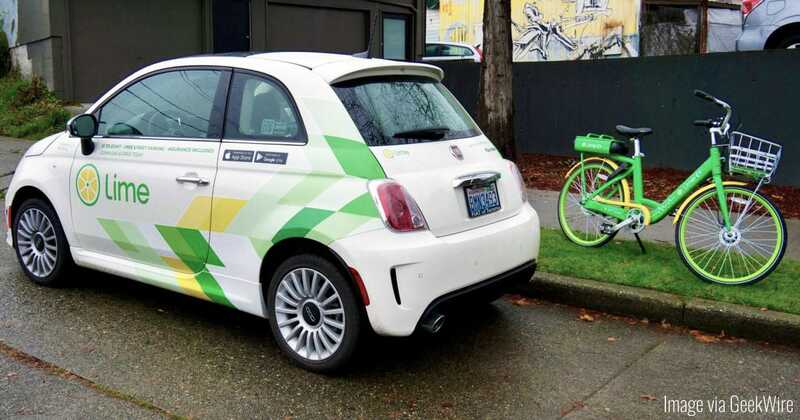 Depending on LimePod’s success, we could soon see our busy, traffic-filled streets scattered with lime green Fiat 500s; A welcome change in the city of Seattle.